Overview: The RE-ACTIVE-8 proposal aims to transform ClevelandÕs Detroit Superior Bridge into a center for urban activity, by attracting and promoting enterprises, projects, artistic endeavors and more from throughout the city. 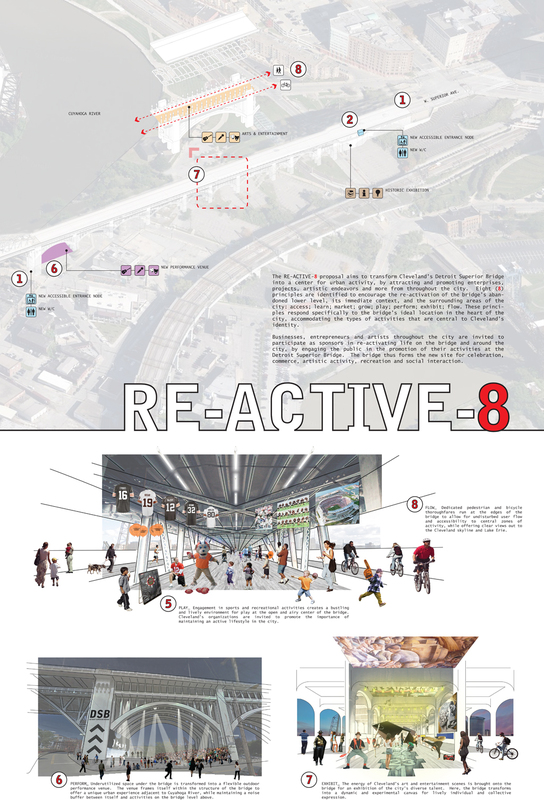 Eight (8) principles are identified to encourage the re-activation of the bridgeÕs abandoned lower level, its immediate context, and the surrounding areas of the city: access; learn; market; grow; play; perform; exhibit; flow. These principles respond specifically to the bridgeÕs ideal location in the heart of the city, accommodating the types of activities that are central to ClevelandÕs identity. 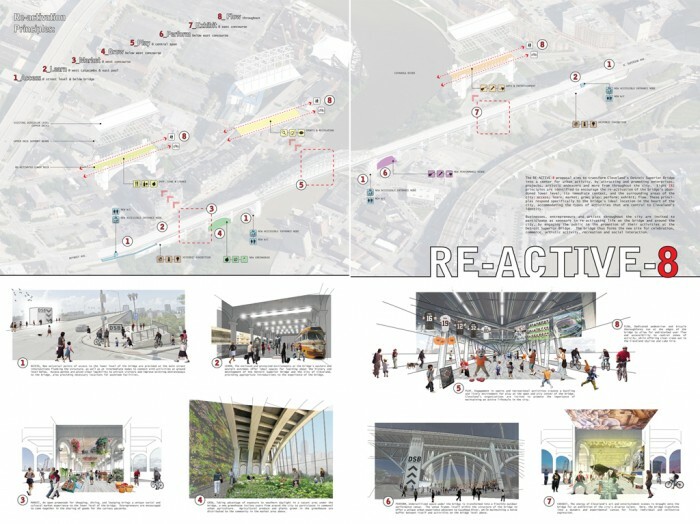 Businesses, entrepreneurs and artists throughout the city are invited to participate as sponsors in re-activating life on the bridge and around the city, by engaging the public in the promotion of their activities at the Detroit Superior Bridge. 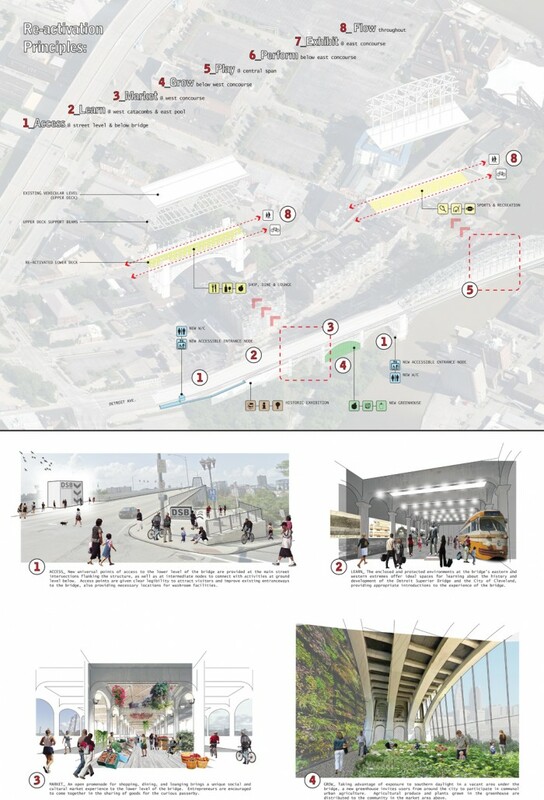 The bridge thus forms the new site for celebration, commerce, artistic activity, recreation and social interaction.